“Home is the nicest word there is” and our journey of life begins at home. Our decisions in buying and selling homes reflect our stage of life, where we want to be, our readiness, our state of mind, our yearned next steps… What an honor to be your trusted realtor and guide you to make one of the most important investment in life. 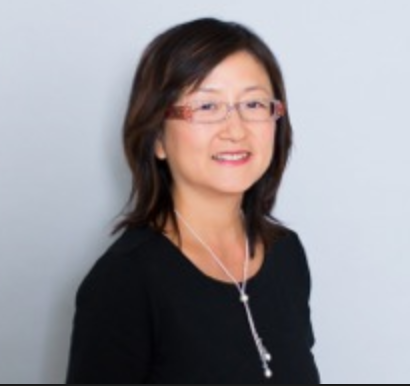 A native of Shanghai, China, I moved to the San Francisco Bay Area nearly 18 years ago and have built strong ties with the local communities and businesses through my professional network and social involvement. I bring a unique cross-culture and professional experience to better serve clients. Prior to real estate, I had worked at global financial institutions such as Silicon Valley Bank and Deloitte, and managed one of the Bay Area's largest organizations for Asian American high tech community, where I grew the organization and increased member engagement. I take it to heart in serving clients with integrity and professionalism. From San Francisco to San Jose, from the East Bay to South Bay, I have worked and lived in the Bay Area's major neighborhoods and have closed transactions in areas that boast top school districts for international buyers. My Chinese and English bi-lingual communication and marketing skills, my network of contacts locally and internationally, my contract negotiation skills, and my ability to collaborate with various parties simultaneously to deliver tailored solutions have tremendously helped me in serving clients needs. With deep connections to and understanding of both cultures, I want to be your guide, providing the knowledge and service you need to make the right move. Besides real estate business, I am passionate about higher education and cultural exchange. I serve as Strategy Advisor for Northeastern University Silicon Valley Campus and Board of Advisor of ChinaSiliconValley, a non profit orgnization connecting cities in both China and Silicon Valley.